With $5,000 worth of "Horsey Bucks," everyone is a high roller! This mock racing event allows your group to share in the fun & excitement of wagering and learn about handicapping the horses. 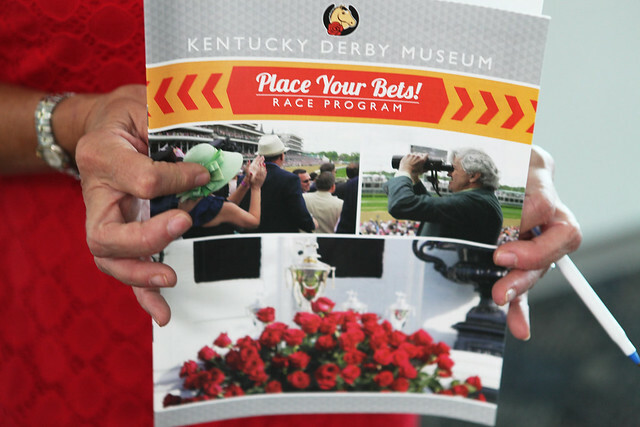 We supply the race programs, horsey bucks, betting windows, live tellers, and prizes to give groups a feel of real racing action! This is one fun, exciting, and a bit competitive group experience! Join us in November and December for Reindeer Games as holiday magic transforms our racehorses into racing reindeer. Includes all elements of the "Off To The Races Activity" with an added holiday style as guests wager on their favorite reindeer to win the race and prizes. Each guest also receives their own reindeer antlers for good luck. It's a Ho-Ho-Ho lot of fun, so come and join us!